You can trace the latter trick all the way back to the dawn of the silent-movie era, and follow its various permutations even beyond the audacious turnabout that signaled Bobby Ewing’s return to Dallas. 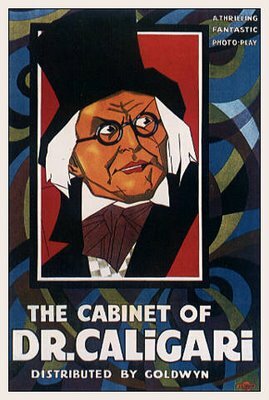 But when you’re cataloguing the most significant cinematic deceptions, The Cabinet of Dr. Caligari deserves special mention. This 1920 German fantasia represents the first meaningful attempt to fuse Expressionistic style and conventional substance in a commercial film. Just as important, however, is the movie’s seminal success at pulling the rug out from under its audience. Dr. Caligari is the nice personality you are discussing about. I like his all publications and other works. Oh my goodness! Amazing article dude! Many thanks, However I am having troubles with your RSS. I don’t understand the reason why I am unable to subscribe to it. Is there anybody else having similar RSS issues? Anybody who knows the answer will you kindly respond? Thanks!! this article looks quite comprehensive. try game killer now. Great, this is just a magnificent post. Nice Article thanks for posting . Ranveer Singh is coming back with the Simmba Movie 2018. It is an action packed blockbuster movie and you can Download Simmba from here.